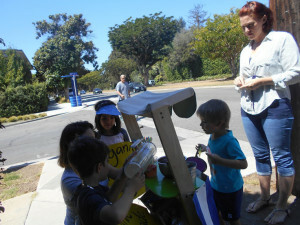 The children had a lemonade stand just last week. 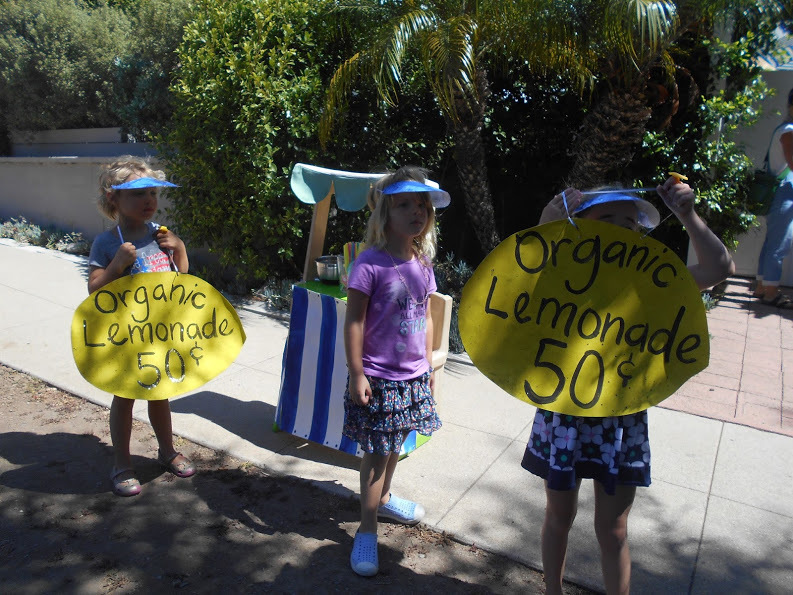 They were excited about their stand because they painted their stand and signs and lets not mention about their hard work squeezing fresh lemons. The children also made strawberry ice cubes to keep the lemonade fresh. 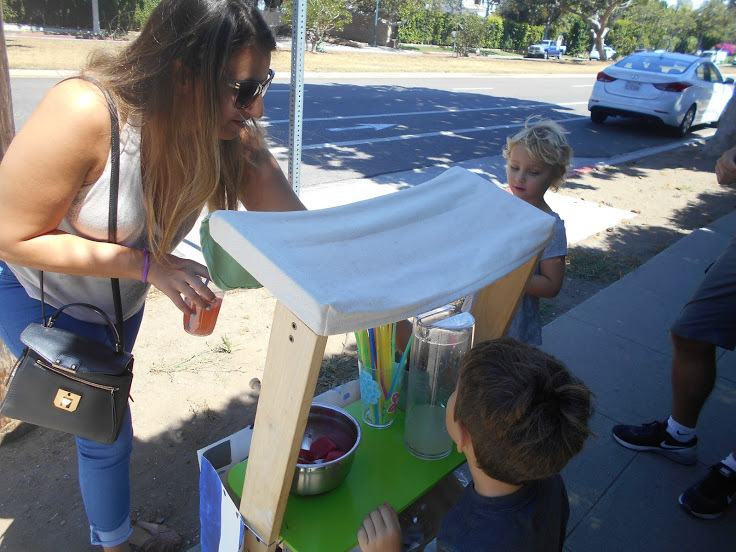 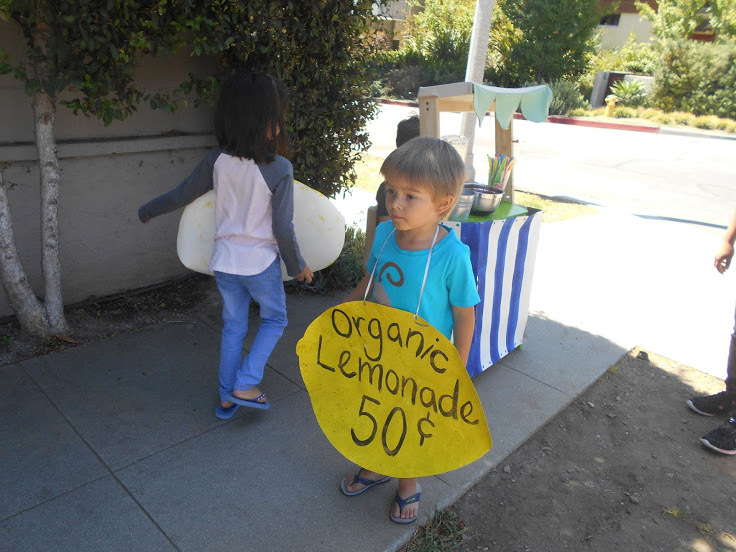 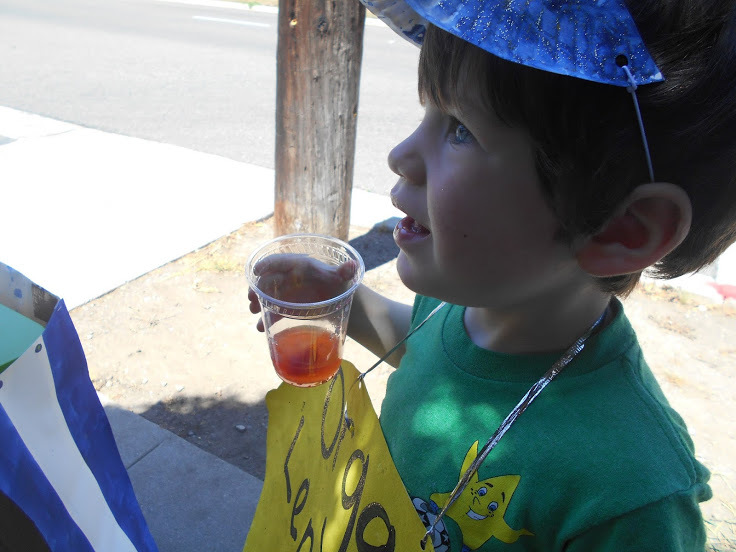 The children were excited to see customers stop by for some lemonade after a run. 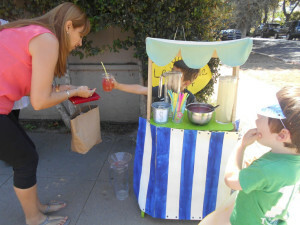 The children were also excited to see their parents stopping by for some lemonade. 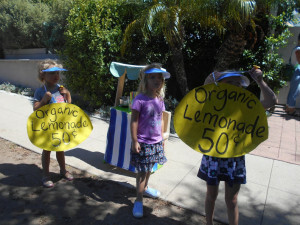 They cant wait to go back to business!